It all began with lots of cheese, and a trip around the sun. I’ve been to several of the Humber Mouth festival events this past week or so, and put short, it’s been special. There’s a definite festival feeling, not just at the events themselves, but a wondrous sensation that’s followed me around, as if I genuinely have been in some trippy field all week. 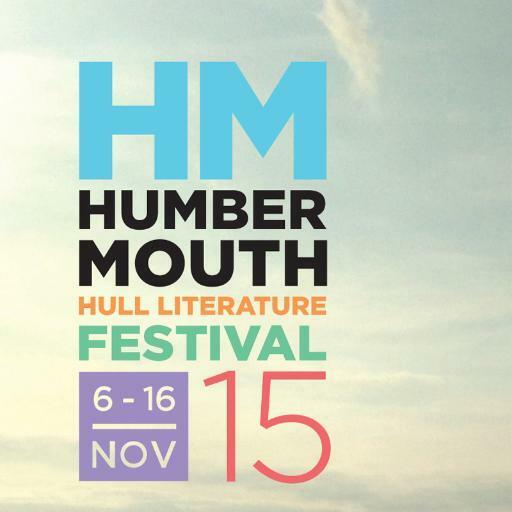 There’s a lovely, core ‘arts crowd’ in Hull, many of whom I’m getting to know better as time goes on, and this community is ever refreshed and enlarged by the guests we’ve had here, both for Humber Mouth and the ongoing Head in a Book events. DBC Pierre was one of the festival highlights. He had a kind of rock star type of charisma that held the crowd, and I was fascinated by the strangely uprooted, international life he’s led. I found on speaking to him that he seemed equally intrigued by our city, and by my more rooted, Born-in-Hull background. Not only that, Man-Booker and all that aside, he was a really nice bloke. There’s been a genuine sense this week of locality and internationality in my home town, and it’s been inspiring. In short, Humber Mouth has shown things in a new light. Last night I heard Julian Cope doing a positive remix of the world with knowledge of history, and embrace doubt as good thing. Doubt, and question and comparison = good things! Being unable to see anything but organic objects for six weeks = questionable. I’ve started to ‘get’ poetry a bit – in no small part because I’ve met some of the lovely folk writing and performing it. Also, I made music with jam jar lids. I’ve met some swell folk from near and far, and made some new friends, I think. In more intoxicated moments(it’s been a been a heavy festival week in that sense also), I’ve dared to think that the world is much bigger and better than I perhaps realised. So thanks to everyone behind and in attendance at Humbermouth – especially that core crowd I mentioned, who underpin it all and keep it going – you know who you are. These cultural doo-dahs can activate and inspire – case in point, my son went straight home from the Matt Haig event, inspired to write a story. How good is that? Are you watching, 2017? I can’t wait for next year. I’m thinking of actually camping out.